Spaying: to remove the ovaries, and usually the uterus, from a female animal. 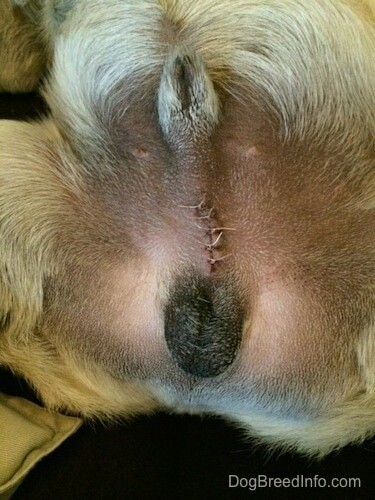 The purpose of the procedure is often to avoid unwanted puppies. 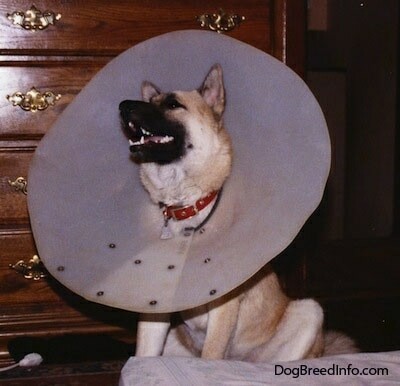 Neutering: usually referring to a male animal, an animal made sterile by castration. The obvious reason people get their dogs spayed or neutered (fixed) is the massive pet overpopulation problem we face. The amount of dogs overwhelmingly exceeds the amount of homes available for them. 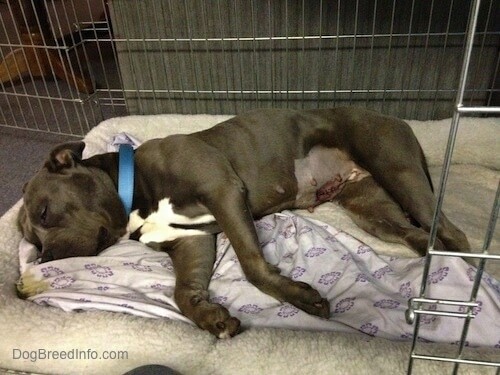 Every second of the day dogs are being euthanized (killed) because they do not have homes. When you spay or neuter your animal you are helping to keep the overpopulation down. Another thing one can do to keep the pet overpopulation down is to take time to learn natural dog behavior. Most people who get rid of their dogs do so because of behavioral issues—issues that exist because the animal does not have its instincts met. People rarely give up on well-balanced dogs, as they are a pleasure to own, but when they do have to it is easier to find a home for a dog that is well behaved and instinctually satisfied. The good news is, with the right owner, all dogs can be transformed into a well-balanced, behaved dog. A dog's temperament is a direct result of its owner’s ability to understand him and give him what he instinctually needs as a canine animal. There are no bad dogs...just uneducated owners. Besides the obvious, there are other reasons to get your dogs fixed. At about 10-12 months old, an intact male dog will begin to show signs of dominance and become harder to handle. He will be more likely to fight with other dogs or bite a human. He will be harder to control as his sexual frustration begins to rule his reactions. Even if you allow your dog to breed to release his frustration, the dog will constantly be battling his urges which will often conflict with your wishes. According to the American Humane Association approximately 92% of fatal dog attacks involved male dogs, 94% of which were not neutered. Intact males will often lift their leg and mark your house with their urine, inside and out. The more you clean up the pee, the more they will mark in an attempt to put their scent back. A male dog can be fertile as young as 4 months old, but is usually not able to breed correctly until he is 6 to 12 months old. When a female dog is not spayed she will go into heat cycles (estrus). The first heat cycle can happen anywhere from 4 to 18 months of age. How often the female will come into heat varies, but when it does it lasts about 21 to 28 days. During this time the dog will drip blood with vaginal discharge all over your house and will often become cranky as she deals with her hormones. The female is more likely to fight with other dogs, especially other females. Male dogs will be attracted to her, but she may not want them around her, depending on her mood at the moment. If the dog becomes pregnant, the pregnancy and delivery are not always what you see in a Disney movie. 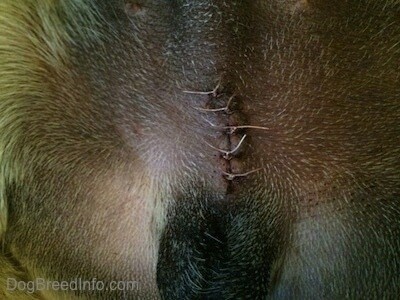 Things are often complicated and owners need to be prepared for anything (see Whelping Puppies). This is a dog diaper warn by a female dog in heat to prevent blood from dripping all over the house. Notice the tail hole, this type of diaper is made specifically for a dog. If you are going to put a diaper on your female dog be sure to always allow her opportunities to clean herself. Having the surgery performed too young has been linked to health issues later in life. An owner should speak to their veterinarian about the right age to have the surgery performed and the balance between dealing with the behavior issues of an unfixed dog and allowing a puppy to grow up with its natural hormones for health reasons.